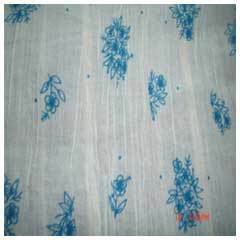 We offer high quality jacquard that is manufactured and knitted by using high speed woven jacquard needles. With the support of these machines, we are able to make any type of sharp jacquard design in a wide spectrum of colors as per client’s specifications. we are vertical integrated compliant manufacturer & exporter of fashion accessories, made ups & home furnishing products and are being rated as best in the industry. We are already supplying/ exporting to the best across the world. With the in-house design capabilities and vertical integrated facilities we have the expertise to do any designs either developed by our own design team or given by you. Our creative design team and skillful craftsmen bring out variety of samples and finished goods production every month meeting international standards. We assure you of the best price, shortest lead-time and best quality at the same time.